As a charitable foundation supported by the property industry, LandAid finds ways to apply the generosity and expertise of the industry to this cause. LandAid invests in and adds value to projects across the UK by funding buildings, equipment and staff, and providing free property advice, forming partnerships with charities working with some of the most vulnerable young people in the UK. 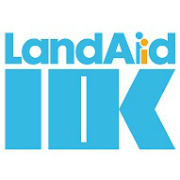 LandAid provides a wide range of ways for companies and individuals within the property industry to give and get involved: by donating money, time, sponsorship, energy as a fundraiser, expertise, work experience, mentoring, employment opportunities, volunteering and the use of space in buildings.